In The News | Caldarelli Hejmanowski Page Leer LLP | A San Diego law firm with expertise in litigating civil cases. A San Diego law firm with expertise in litigating civil cases. Marisa Janine-Page’s client was sued by an ex-employee for gender discrimination, disability discrimination, interference with the California Family Rights Act and the Family Medical Leave Act, and intentional infliction of emotional distress, among other causes of action. After almost a year-and-a-half of litigation, the parties went to trial in Los Angeles Superior Court. After two weeks of trial, the jury, after only a few hours of deliberation, returned a complete defense verdict on all causes of action in Ms. Janine-Page’s client’s favor. Ms. Janine-Page later brought a successful motion for sanctions under Code of Civil Procedure section 128.5 arising from plaintiff’s counsel’s bad faith, frivolous litigation tactics. The firm is pleased by the favorable result obtained for the client, and congratulates Ms. Janine-Page on her zealous advocacy. Every year, five percent of San Diego attorneys are selected for inclusion in Super Lawyers based on peer evaluations and third party research evaluating the attorneys. For the fifth year in a row, Bill Caldarelli, Lee Hejmanowski, Marisa Janine-Page, and Jack Leer were recognized as Super Lawyers in San Diego County. Both Lee Hejmanowski and Jack Leer were recognized on the Super Lawyers “Top 50″ List in San Diego. This year, Super Lawyers recognized, for the first time, those attorneys named as Super Lawyers for ten years in a row. Firm founder and partner, Bill Caldarelli, a constant on the Super Lawyers list, was recognized as 10-year honoree. Attorney David Lichtenstein was recognized as a Super Lawyers “Rising Star” for the third year in a row. Every year the San Diego Business Journal publishes its annual “Best of the Bar” list. This year, the San Diego Business Journal’s third annual list includes attorneys Bill Caldarelli, Marisa Janine-Page, and David Lichtenstein. The “Best of the Bar” honorees are selected by their peers as the most outstanding in their field. Mr. Caldarelli’s practice includes business, real estate, and intellectual property litigation. Ms. Janine-Page’s practice includes business, real estate, and employment litigation. Mr. Lichtenstein’s practice includes business and real estate litigation. For the fourth year in a row, all four CHPL partners, Bill Caldarelli, Lee Hejmanowski, Marisa Janine-Page and Jack Leer, were recognized by Super Lawyers as some of the top attorneys in San Diego County. All four were recognized for their skills and expertise in the field of business litigation. Those San Diego lawyers who receive the highest point totals during the nomination, research and peer review process are further recognized in San Diego Super Lawyers Top Lists. This year, Jack Leer was recognized by Super Lawyers as one of the Top 50 attorneys in San Diego. And for the second year in a row, Super Lawyers recognized associate David Lichtenstein as a Rising Star in the field of business litigation. Selection to the Super Lawyers list is a prestigious honor. Only five percent of all lawyers in California are selected for inclusion in Super Lawyers, based on peer evaluations and third party research evaluating candidates on both peer recognition and professional achievement. Caldarelli Hejmanowski Page & Leer is proud to announce that Bill Caldarelli has been named as a Top Attorney in the area of Intellectual Property by the San Diego Daily Transcript. Top Attorneys are selected by a peer voting process to determine the best lawyers in San Diego County. Bill routinely represents individuals and businesses in a variety of intellectual property disputes, including patent infringement and trade secret litigation. The firm congratulates Bill on this accolade! For the second year in a row, Caldarelli Hejmanowski Page & Leer sponsored the Together for Charity/Foundacion Unica’s Enchanted Evening fundraiser to raise valuable funds for Tijuana children orphaned by the effects of drugs and violence. One-hundred percent of the funds raised from the event go directly to providing necessary food, medicine, clothing and shelter to these children. The San Diego Business Journal recognized Caldarelli Hejmanowski Page & Leer LLP Attorneys Bill Caldarelli and Jack Leer in the 2015 “Best of the Bar” list. Legal professionals throughout San Diego County cast votes recognizing their peers as outstanding attorneys in the legal profession. Mr. Caldarelli’s practice focuses on business, real estate, and intellectual property litigation. Mr. Leer’s practice focuses on business, real estate, and construction litigation. San Diego Magazine named Caldarelli Hejmanowski Page & Leer attorneys Bill Caldarelli and Lee Hejmanowski as Top Lawyers in 2015. Attorneys are selected based on peer reviews provided by Martindale Hubbell, a company that has a long tradition of providing peer review ratings in the legal profession. Bill Caldarelli was recognized as a Top Lawyer in the category of “Business & Real Estate Disputes,” while Lee Hejmanowski earned recognition as a top “Real Estate” attorney. Caldarelli Hejmanowski Page & Leer is proud to announce that founding partner Marisa Janine-Page was recognized as a 2015 Global Award Winner by Corporate LiveWire in the practice area of Labor & Employment. The Global Award highlights businesses and individuals displaying exemplary standards and incredible performance across the globe. 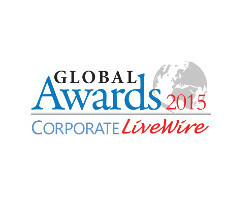 Winners are selected by the Corporate LiveWire team for their unending commitment to excellence in their field. For the third year in a row, all of CHPL attorneys have been recognized for their efficiency, expertise, and experience and have been included on the list of 2015 San Diego Super Lawyers. Bill Caldarelli was named one of the Top 50 attorneys in San Diego in addition to being recognized as a Super Lawyer in the field of Intellectual Property Litigation. Lee Hejmanowski, Marisa Janine-Page, Jack Leer, and Ben West were recognized as Super Lawyers in the field of Business Litigation. David Lichtenstein, who joined the firm in October 2014, was recognized by Super Lawyers as a Rising Star in the field of Business Litigation. Only five percent of all lawyers in California are selected for inclusion in Super Lawyers, based on peer evaluations and third party research evaluating candidates on both peer recognition and professional achievement. CHPL is proud to be one of the few firms to have all of its attorneys included in this prestigious list year after year.